The biggest surprise about We Go On isn’t the de rigeur ghost story plot twist. It’s in how much the movie doesn’t need it. Modern audiences have been trained to expect shocker reveals and final-act revelations when it comes to cinematic offerings centered on the supernatural. 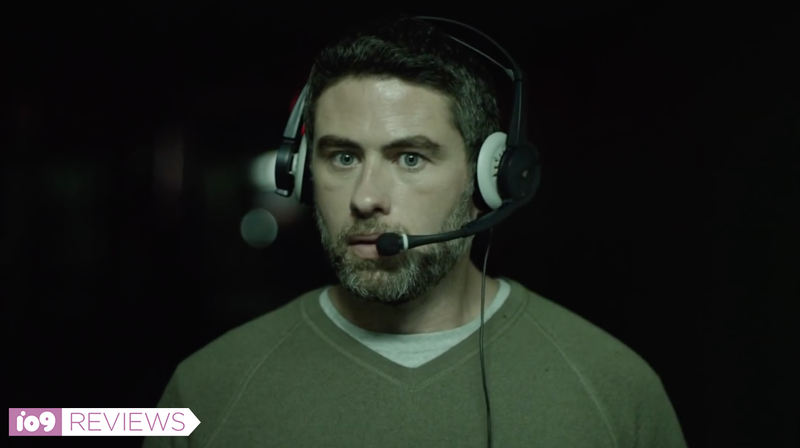 Indie horror flick We Go On has one, but it’s also got great performances and an affecting mix of bleak gallows humor and that will spin through your head long after the credits roll. Written by Andy Mitton and directed by Mitton and Jesse Holland—the pair behind 2010’s YellowBrickRoad—the movie focuses on MIles Grissom (Clark Freeman), a video editor in his late 20s obsessed with getting proof of the afterlife. After the death of his father when he was a boy, Miles struggles with crippling doubts and phobia. When his fiercely protective mother Charlotte (Annette O’Toole) isn’t driving him around, he takes the bus everywhere in Los Angeles because he’s deathly afraid of car crashes. Miles decides that the only thing that will free him from the lifetime of nightmares and fear is definitive evidence that there’s some sort of continued existence after death. He takes out a newspaper ad offering a $30,000 reward for said evidence and gets inundated with responses, which he sorts through with his skeptical mother. The mother-son team pare down the responses down to three candidates: a research professor, a medium who works at a restaurant, and an eccentric rich man. Encounters with each of those people brew up a heartfelt mix of fear, skepticism, and disappointment. Miles only really starts down a path of true understanding when he follows up on a mysterious voicemail message he gets in response to his ad. We Go On posits its own bespoke logic for explaining the existence of ghosts and why they haunt us. The professor’s theories revolve around using extreme fear to open the perceptual barrier that thickens as we get older. Furthermore, the medium tells Miles that lost spirits tether themselves to the living because passing into the light that leads into the hereafter is like a burning pain to them. Passage cuts them off from everything they once knew and the spirits don’t want to go alone. Furthermore, she adds, once a person starts seeing the ghosts all around us, they remain constant companions until one dies and they can go into the light together. We Go On’s seemingly modest budget belies its outsize impact. The film comes across as earnestly interested in how we deal with grief, survivor’s guilt and the terrifying uncertainty of what happens after we die. It navigates the distance between skepticism and faith without harsh judgments on either pole of the belief spectrum, showing instead that we each have to walk our own way up to the end of other people’s lives. I saw We Go On at the Other Worlds Film Festival in Austin; the movie’s Facebook page seems to be the best place to get updated screening info.